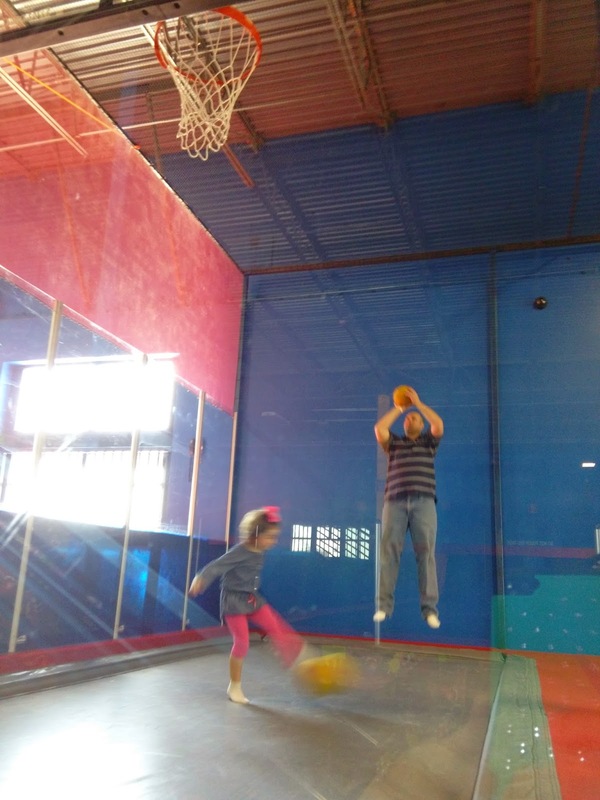 Today we had a little Valentine's family date! 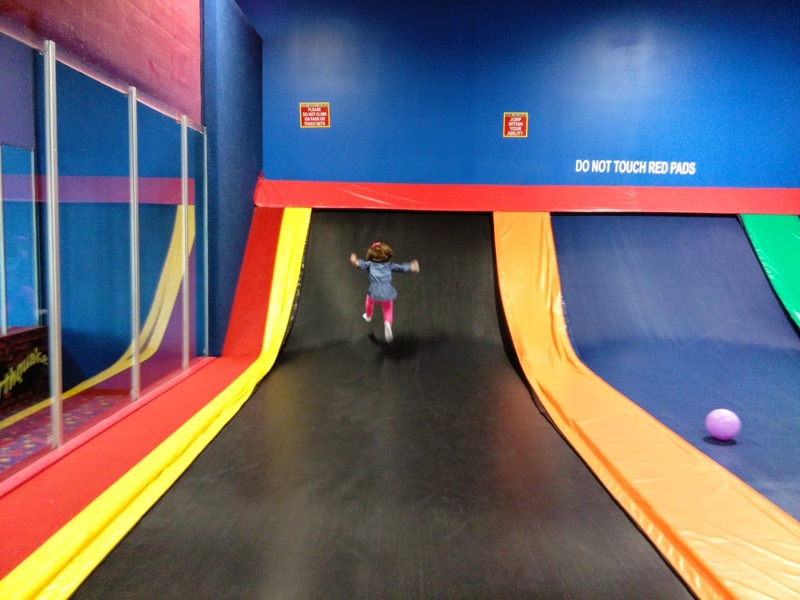 We went to the "bouncy place". It was a surprise for Katie. And I guess for Marcus too. He had lots of fun! 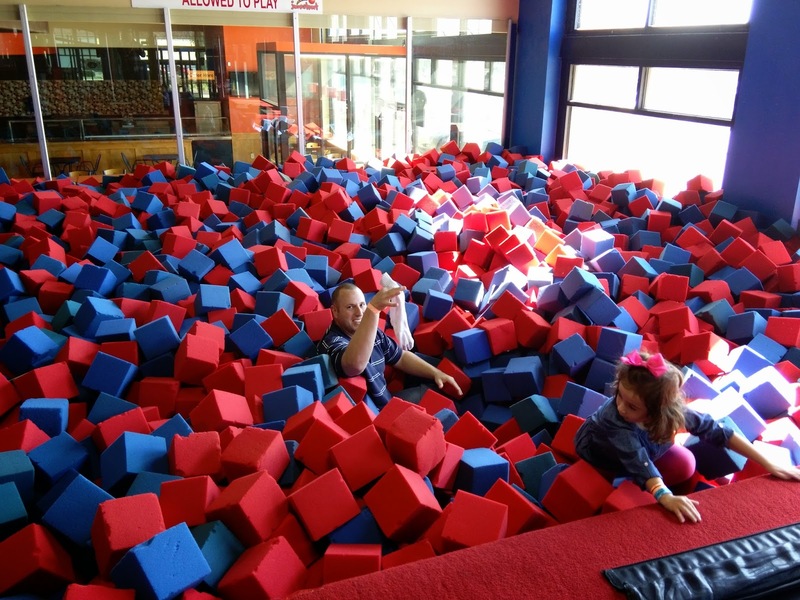 Marcus asked how deep the foam pit was. 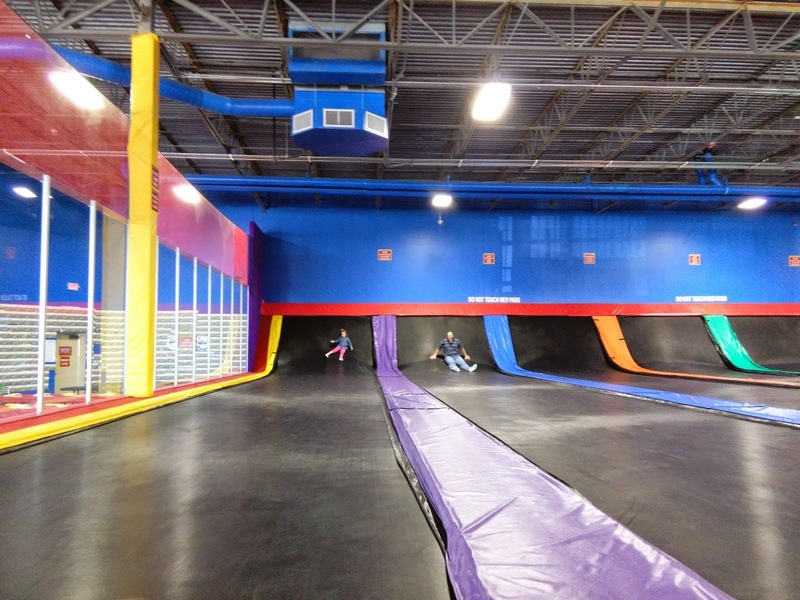 The guy said that the kids usually just land on top. Well, I guess Marcus is a tiny bit heftier than the kids. I am wondering if he will have nightmares about trying to get out of this foam? 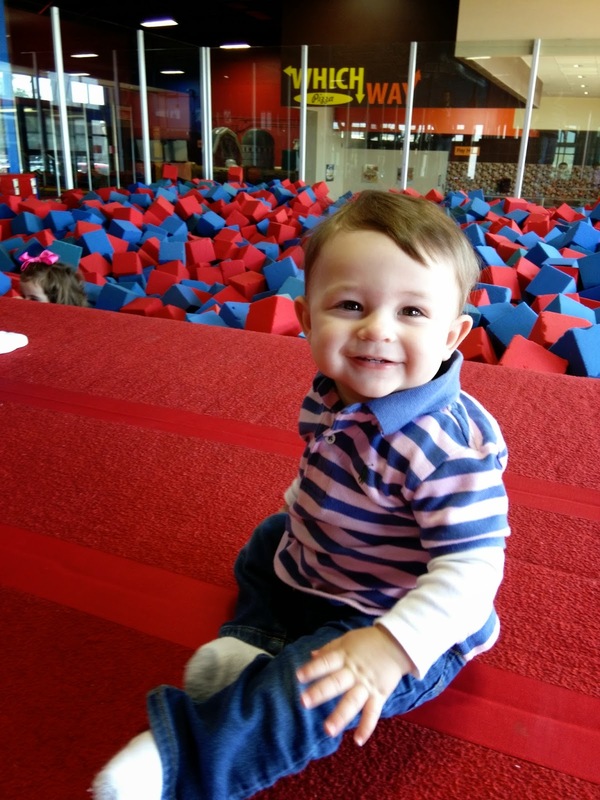 Jesse was dying to crawl right into that foam pit! I think we would have lost him. Does anyone else want to kiss his face off? Just me? Marcus lost a sock. When he found it, he was hoping it was really his. Ewww. I am too jiggly to jump in public. And I had to be the baby wrangler. 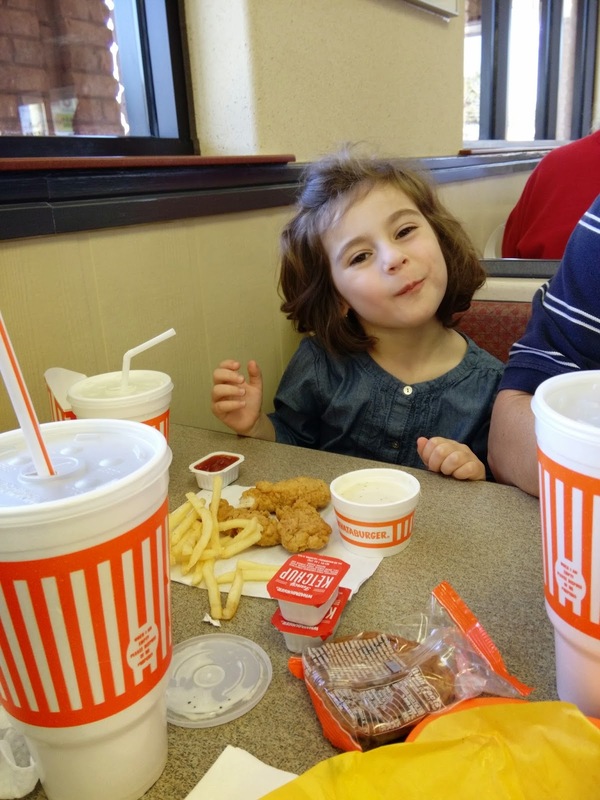 Katie got to pick our lunch place. Her daddy has her brainwashed! It is so good that she had a big lunch! Tonight as Katie was getting ready for bed, she said "Uh, does anyone have a plan for dinner?!" Marcus was working. He doesn't ever miss a meal, so it wouldn't have happened with him home. So the girl got a microwaved hot dog at about 9 pm. I balanced it with some apples and milk, so Child Protective Services wouldn't come and take my kids from me! 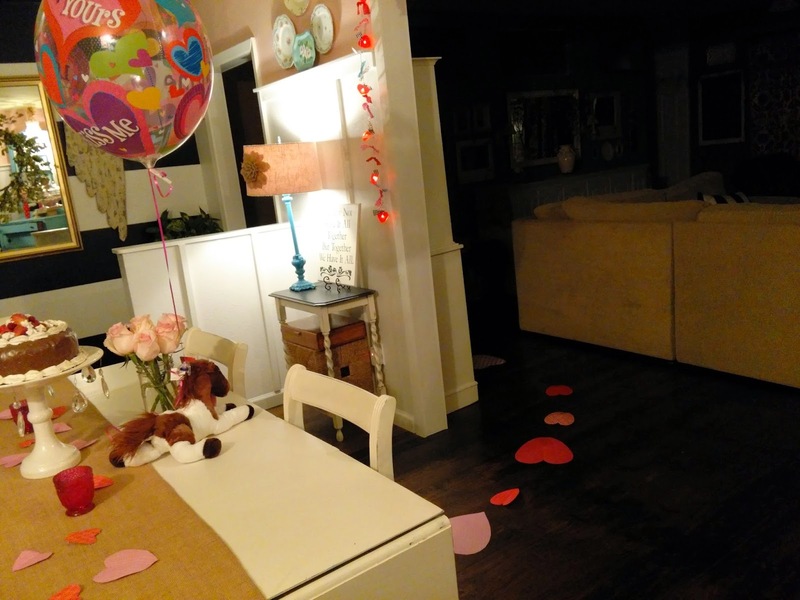 I can't remember dinner, but when Katie wakes up, she will have a trail of hearts leading her to some Valentine surprises. Above all else, I want my kids to know they are loved unconditionally. By us and by God. They might be starving, but they will feel loved...and a little hungry. 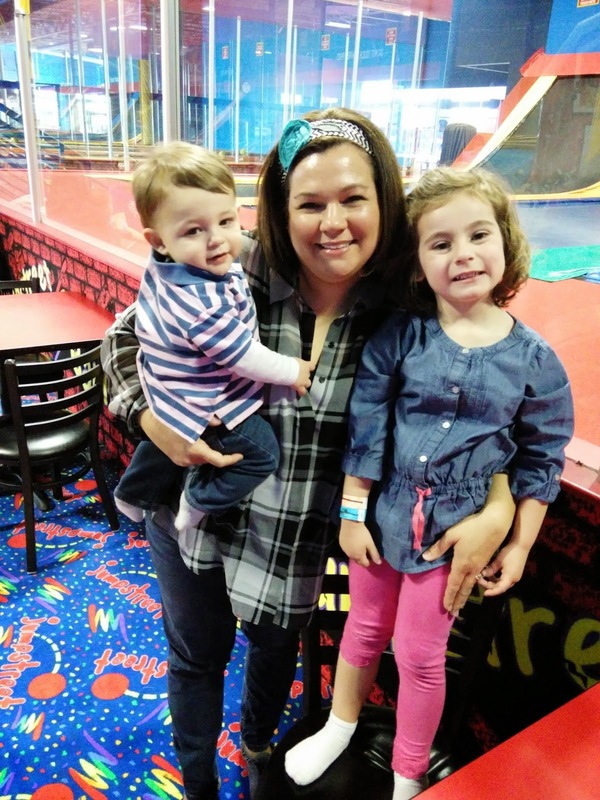 Dina, you are seriously the best blogger ever! I love your posts! Can't believe he is already almost a year old. Time flies! 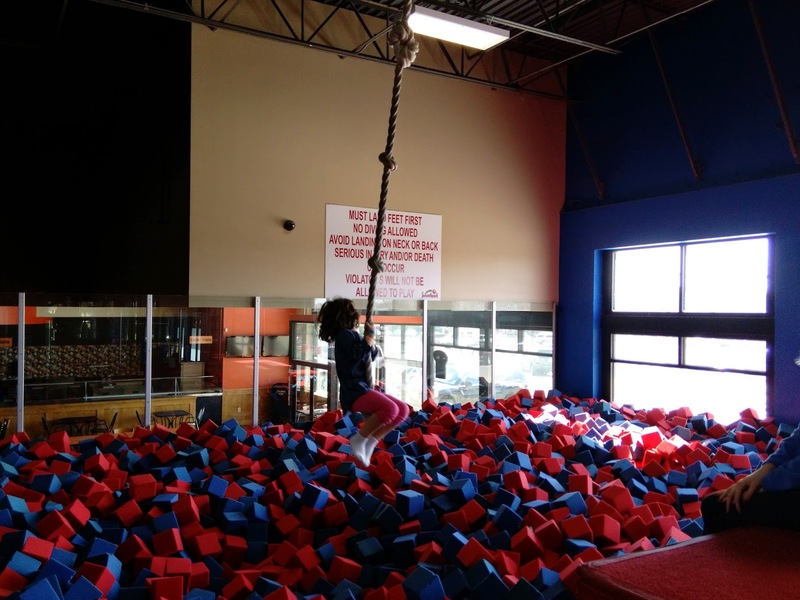 We are in the DFW area too - would you mind sharing the name of the trampoline place? 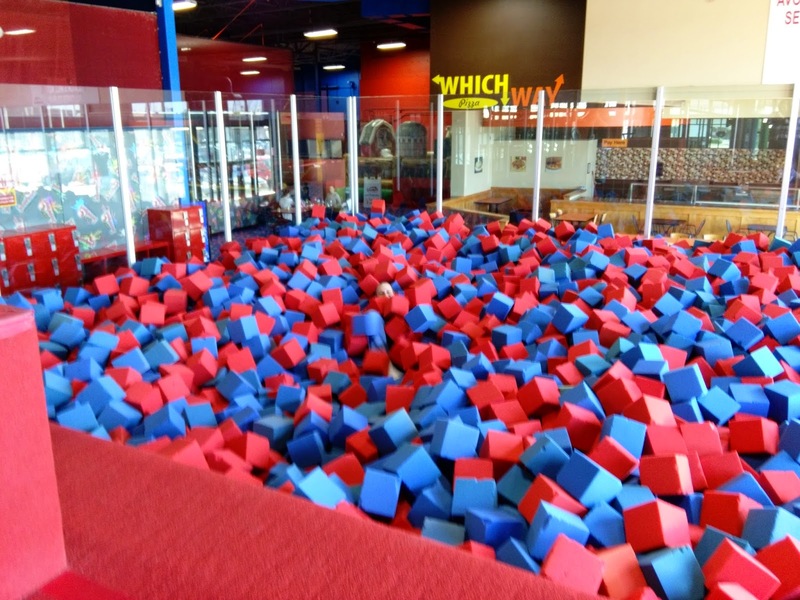 I think my boys would love to try it! 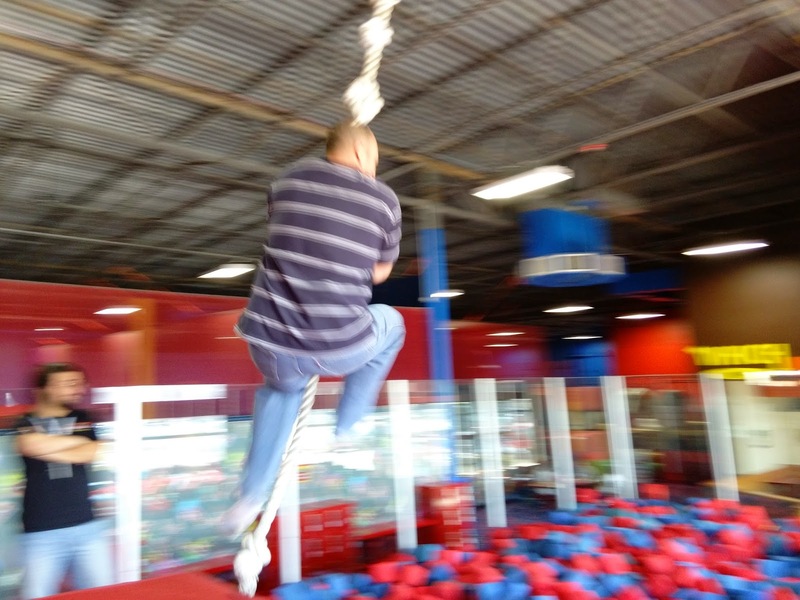 We went to Jump Street in Colleyville! Stitches, Mascara & Wanna Come Over?